Etched into the back of the cam? Maybe a picture? Usually the A87 was used on L18s and had an L20B cam. Does it have square protrusions at the halfway point? Currently running a L18 block. I tried to snap a photo of the stamping on the back of the camshaft but the stamp is so faint its really had to show up on photos. Looks like it has the square protrusion you mentioned in the middle of the camshaft. 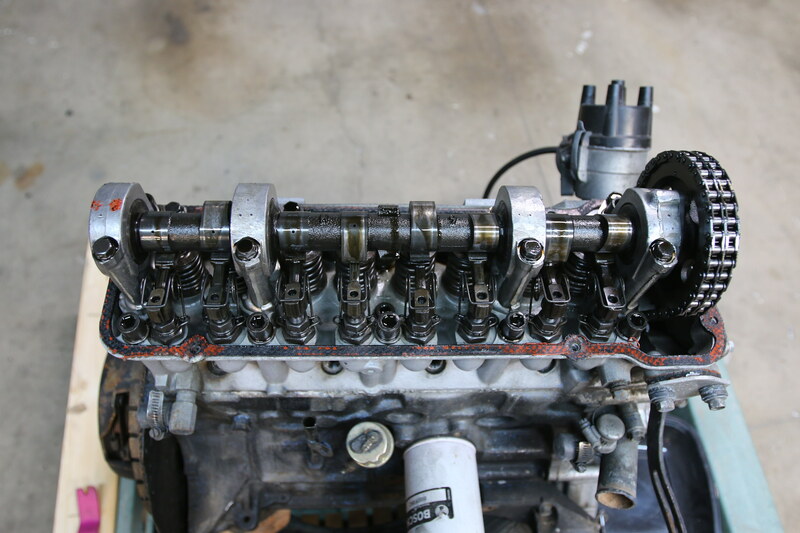 WIth that said is a L20 camshaft? A87 and L20B cams were essentially the same. Looks like the cam was reground. Hardly any shoulder left on it.